Deciding what to wear in family photos can be challenging and stressful. I know this myself with my own children for our annual beach and fall sessions. These are portraits you are going to hang on your walls and cherish for years to come. It can seem overwhelming when considering what to wear, but it doesn’t need to be. Use these tips to help you pick out the perfect wardrobe for you and your family. 1. Coordinating colors are key, you do not have to match. Pick a couple of colors and choose clothes that will fit in the color scheme. Do you like bright colors? Neutrals? Since you will be hanging these photos in your house you want to make sure the colors of your clothes go with the color scheme of your home. Accessories not only add to your outfit but they can be fun to use in photos. Necklaces for the kids to play with or hats to hide behind and scarves for the girls. Personally, I enjoy having an outfit in the mix that has all the colors in it. However, not everyone in the photo should wear patterns as it may distract the final image. When shopping for clothes for my kids, I head to stores that typically have color coordinating collections. I can then purchase clothes for all the children from one store. I know their clothes will coordinate. Parents can coordinate using colors in their clothes. Once you book your session, start thinking of the clothes right away. You may think certain clothes will fit your kids or that one dress is clean. If you wait until the day of or day before you may run into an issue of clothes not fitting, being dirty or need to be dry cleaned. Please iron any wrinkles ahead of time. Please keep in mind as we get into fall we can have an 80 degree day or a 40 degree morning. Having sweaters and jackets that compliment your clothing is really important to allow everyone to stay warm if its a chilly day when we have our session together. Yes, your child may love their Princess or Fortnite shirts but you’ll want to skip it for the family photo session. Just like loud patterns, characters on shirts can be pretty distracting. 8. Textures are your friend. I am a huge fan of a cotton shirt. However, in photographs I like to add textures like scarves or belts to add a little more to the image. Don’t shy away from different textures. 9. Don’t wear all white. In the fall white can wash out your skin and compete with the beautiful natural colors the foliage will have to offer. If you wear a white shirt, please add some color with a scarf, vest or open front cardigan to compliment the fall colors outdoors. Creams are okay when coordinated with colors in the same tonal range. Yes, you will see everyone’s shoes in your portraits. Shoes are important if you are going to have your session outdoors, skip those old sneakers and plan shoes that are not only comfortable for you and your children but that go with your outfits. Also be careful of high heels if you going to be at a location where you will be walking along a path or in a field. Please don’t go buy your children shoes the night before their session that they have never worn before. You want them to be comfortable throughout their session. If shoes are too small, not worn in or too big…the focus and stress with in the session becomes how the shoes just don’t work. There are so many places you can get inspired for clothing ideas. My website galleries have a variety of color palette ideas from other family and children sessions. Pinterest is amazing for What to Wear ideas. Go visit your favorite clothing company’s website. They are full of clothing styles and colors that work well together. As a visual person myself, I know seeing it helps put clothing sets together. As a mom to three children, I’ve been there. Following these tips on what to wear for your fall photography session will allow the session be all about your family and how much fun we will have together during our photo session time. Be inspired by what others have chosen to wear. This may help to find your family’s unique style that will showcase your fun and loving family through professional photography with award-winning photographer, Paula Swift, M.Photog., Cr., CPP. 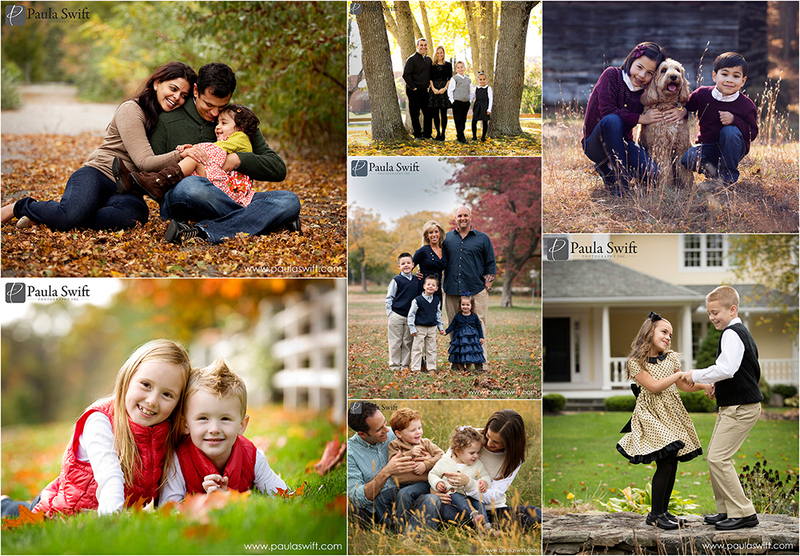 Haven’t booked your fall photography session yet with Paula? Let’s do it, send an email to paula@paulaswift.com and book your session today! Are you looking for Framingham Fall Photography Session? Paula Ferazzi Swift of Paula Swift Photographing, Inc in Sudbury, Massachusetts offers beautiful outdoor children photography in Wellesley, Framingham, Sudbury, Weston, Marlborough, Southborough, Northborough, Holliston, Boston, Shrewsbury, Sherborne, Needham, Wellesley, Wayland, Brookline , Cambridge, Natick, Medfield or in Metrowest ? She will help you with your clothing if you are stumped on what to wear for your photography session. Outdoor photography sessions are perfect to capture this little moments family and children share with one another. Please visit Paula Swift Photography – www.paulaswift.com to find out more information about booking a outdoor fall family photography session. Paula Ferazzi Swift is a Master Photographer and a Certified Professional Photographer with over 23 years of professional photography experience. Featured as Boston’s Best Family Photographer by CBS Boston in 2015, Paula Swift Photography offers creative, story-telling and beautiful images of children and families. Paula Ferazzi Swift is the Author of Storytelling Portrait Photography – How to Document the Lives of Children and Families which is available on Amazon, Barnes & Noble and your local book stores. Paula Swift Photography will come to your home or yard to captured your children and family in beautiful and storytelling way. The Wayside Inn Grist Mill in Sudbury, Mass. is also an amazing location for your professional photography sessions. For a small donation of $25 we that goes to the Wayside Inn Organization, we can book your session for this beautiful and historical location. Paula Swift, a former staff photojournalist at the Worcester Telegram & Gazette newspaper in Worcester, MA also holds two college degrees in the field of photography. Paula Swift Photography has won awards for her newborn, baby, children, family, maternity and high school photography through the Professional Photographers of America, and Professional Photographers Association of Massachusetts . You will find Paula Swift Photography’s beautiful new studio in Sudbury MA just about 20 miles west of the city of Boston. Paula Swift also travels throughout Massachusetts and New England for on location sessions.